The key to Disaster Recovery success is having a realistic and well understood set of objectives that are based on the business needs. This involves planning and preparation, from the business impact analysis, to understanding and quantifying risks, to classifying and prioritising applications and data for recoverability. 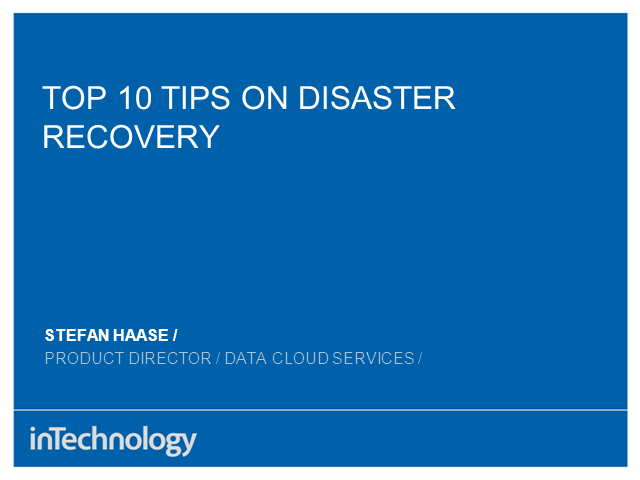 During this webcast InTechnology's Stefan Haases provides tips for any business to consider when putting together their disaster recovery plan.